Right: Big Crocodile, 1992, by Djambu Burra Burra. Roper River, South-east Arnhem Land. Paint on canvas. 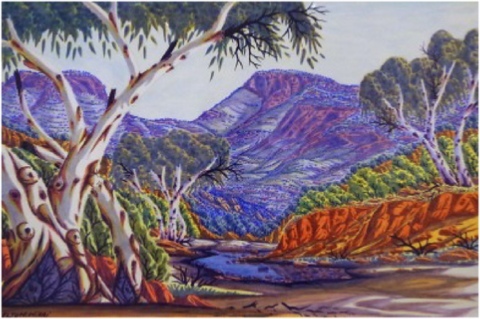 Left: Mt Hermannsburg, 2011, by Elton Wirri. Hermannsburg, Northern Territory. Watercolour on paper. 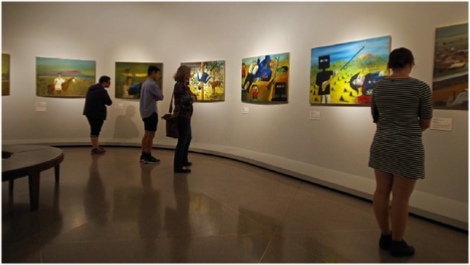 The painting is obviously inspired by the work of Albert Namatjira, of which the Gallery has some fine examples. 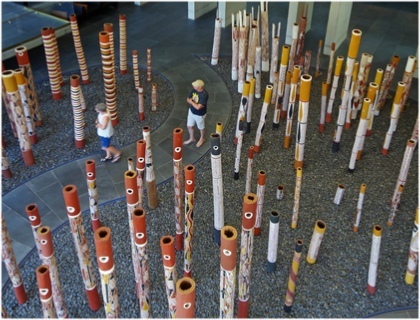 Right: 200 hollow log ceremonial coffins from Central Arnhem Land, 1988. Marking 200 years of European settlement. The path imitates the course of the Glyde River. The coffins are situated broadly according to where the artists’ clans live along the river and its tributaries. 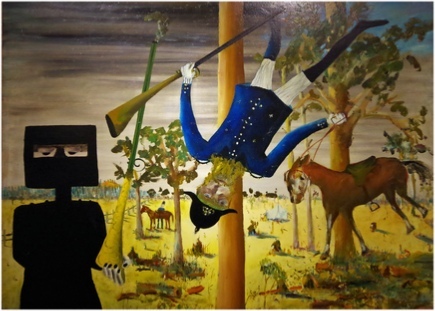 Left: this gallery houses Sydney Nolan’s famous Ned Kelly series. Chinese horses from three different galleries. 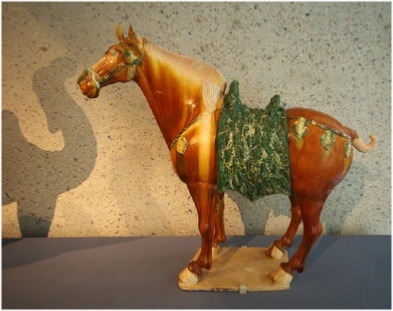 Horses from Central Asia were highly prized. Accordingly, they became important grave ceramics and their presence in tombs was vital to accompany the deceased on the journey to the afterlife. 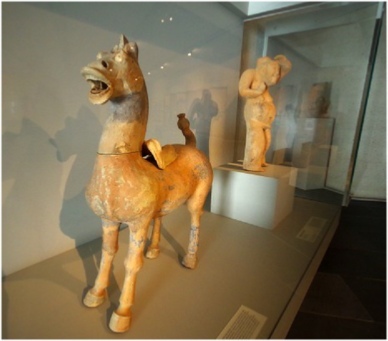 Below left: Han Dynasty pottery horse (206 BC to 220 AD). Below centre: 8th century Tang Dynasty. Earthenware with three colour glaze. 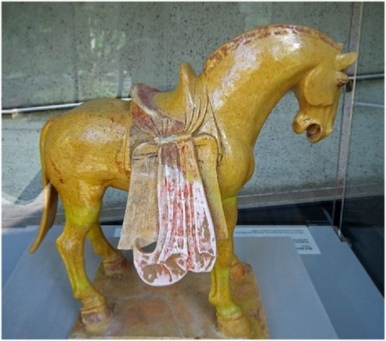 Below right: 6th century Sui Dynasty. Earthenware with glaze and painted decoration.